This friendly neighborhood is conveniently located off of Central Blvd in the heart of Jupiter. 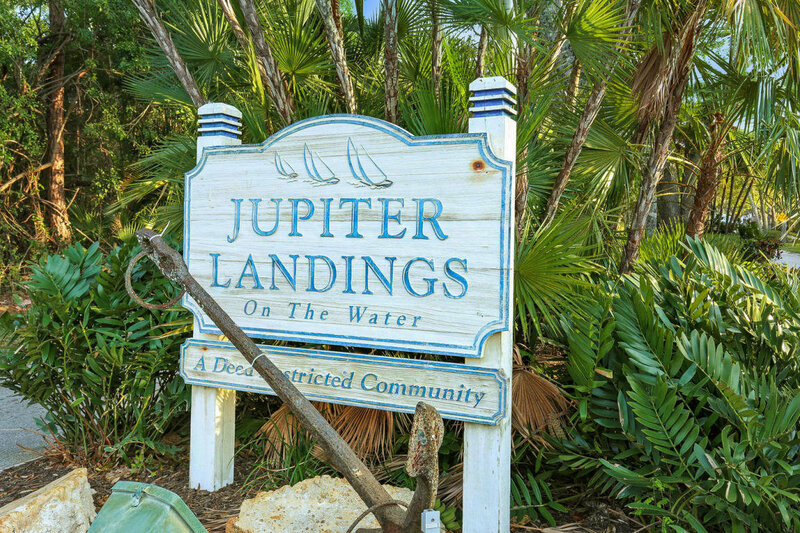 Jupiter Landings was built in the mid 1980s and is comprised of 162 single-family homes ranging in size from 900 to 2,300 square feet and two to four bedrooms. This sought after community's ideal location has homes surrounded by tree lined streets and sidewalks. With direct access to the Southwest Fork of the Loxahatchee River, this boating community offers access to the private community boat dock, launch ramp and boat storage. There is just one fixed bridge between this neighborhood and the Atlantic Ocean. Jupiter Landings has easy access to, restaurants, shopping, beaches, hospital and major highways. Zoned for A rated schools. Interested in Jupiter Landings? Contact us online, call 561-491-2381 or Email - Team@SimmondsTeam.com to learn about available listings or book a private showing. Contact us to sell your home with the Simmonds Realty Team. Beautiful house in the heart of Jupiter. Great schools district. 3 bedroom two bath house with a garage. Fenced in yard. Jacuzzi in backyard. Granite countertops laminate throughout. Split floor plans. Low hoa 48.33 a month pets welcomed. There is a boat and kayak launch off the back of neighborhood for people who live in here into the Loxahatchee river. Also they have dry dock storage for boat.